This issue of e-notes features a peek at some recent Allen home installations. Those of us old enough to remember the 70s (yes I'm THAT old!) 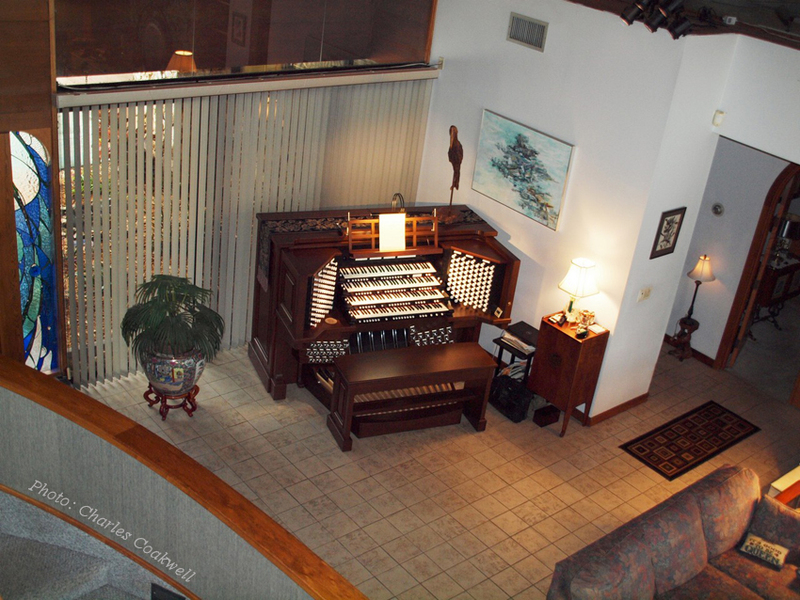 know that, back then, if a living room didn't have a piano, it very likely had an organ. Many of these instruments were equipped with self-play features aimed at making a novice sound like a pro with one easy lesson. Unfortunately, by eliminating practice, they also eliminated the gratification and pride that comes with accomplishment! The 70s home organ "craze" is long gone. But, Allen organs are still installed in homes around the world today. These instruments aren't the "fun-machines" of the 70s, though. They are similar to the Allen instruments installed in cathedrals, theatres and concert halls; designed for musicians that want a fine instrument on which they can produce music themselves. Ask any of these Allen owners and they'll tell you; that "craze" is here to stay! 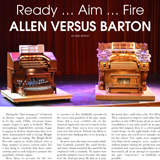 As reported in the previous issue of e-notes, a "friendly duel" between a fine Barton theatre organ and an Allen digital clone of that same organ was a big success at this summer's ATOS Convention in Indianapolis. 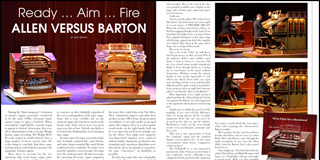 The September/October edition of Theatre Organ magazine includes a review of the concert. 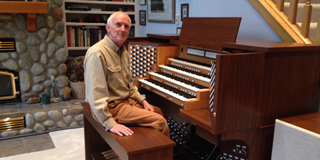 Allen Organ is very pleased with the response from this prestigious organ society to Allen Organ's tonal capabilities. 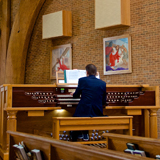 Allen's ability to stand up to the finest pipe organs in a side-by-side presentation is unique in the pipeless organ world. 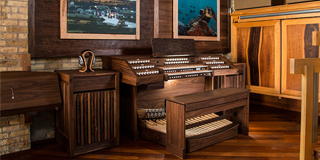 This review by the ATOS once again proves that Allen Organs offer real pipe organ sound! 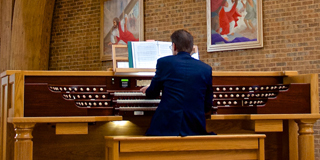 Sunday, September 28th was a very big day for the parishioners and organ enthusiasts at St. Timothy Catholic Church in Chantilly, Virginia. 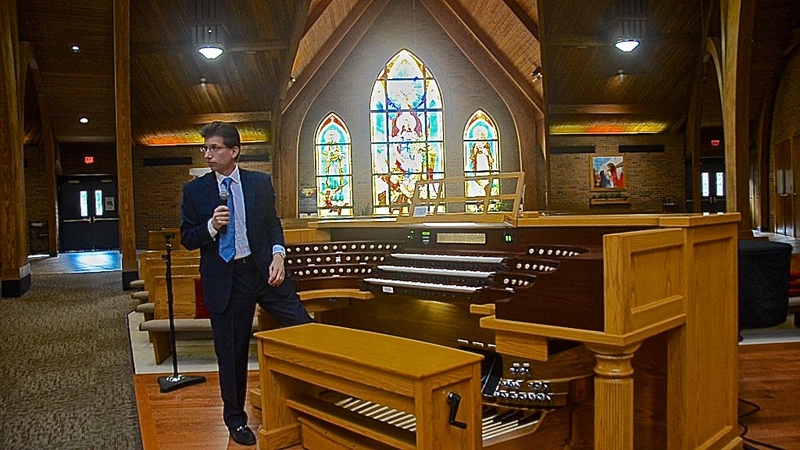 For months, the world watched on the Allen Organ website as the church's one-of-a-kind curved-jamb French Terrace organ was built by Allen craftsmen. Now it was time to hear the full capability of this King of Instruments. 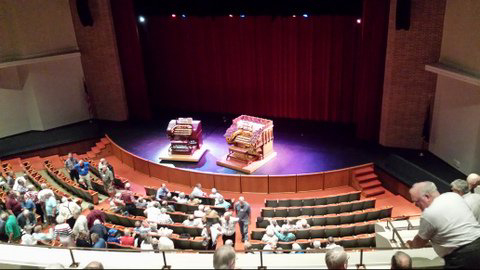 Taking over eight months to complete, and weighing over 630 pounds, the organ did not disappoint those in attendance. Classical Organist and Assistant V.P. of Sales for Allen Organ, Aram Basmadjian gave a stellar performance on this unique instrument. 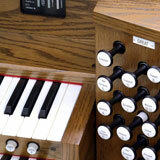 capabilities of this one-of-a-kind digital organ. A ten day voyage, on a barge, towed by boat. That's how organs get to Juneau, Alaska from Seattle! Tim Fullam knows this all too well. 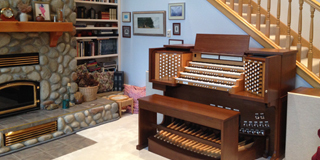 Recently, a new Allen two-tone Bravura™ four-manual, 79 stop digital organ, was installed in his living room. 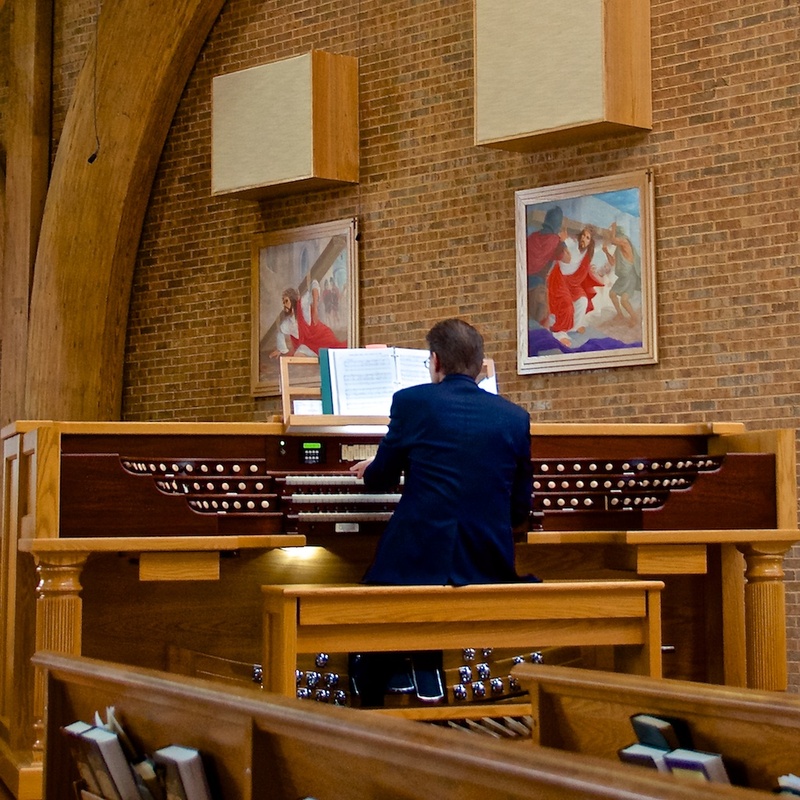 Organ playing has been a life-long dream for Tim. Recalling where his interest in the organ started, he stated, "It began as I listened to my mother's 78-rpm recording of E. Power Biggs playing the St. Anne's prelude and fugue, a work that still entrances me, and one that I dream of being able to play one day." His dream is not far off. Tim took piano lessons at an early age and then migrated to the organ during his high school and college years. During this time he owned his first Allen Organ. Tim eventually gave up his organ playing for a career as a Geologist, and later in computers as part of the Computer Network Management Team of the University of Alaska in Fairbanks, and eventually as a professor of Computer Information Systems at the University of Alaska's Southeast campus in Juneau. He recently held a position at the Alaskan Brewing Company, as Information Technology Manager. This fine looking two-tone Bravura™ L-451 now adorns Tim Fullam's living room. 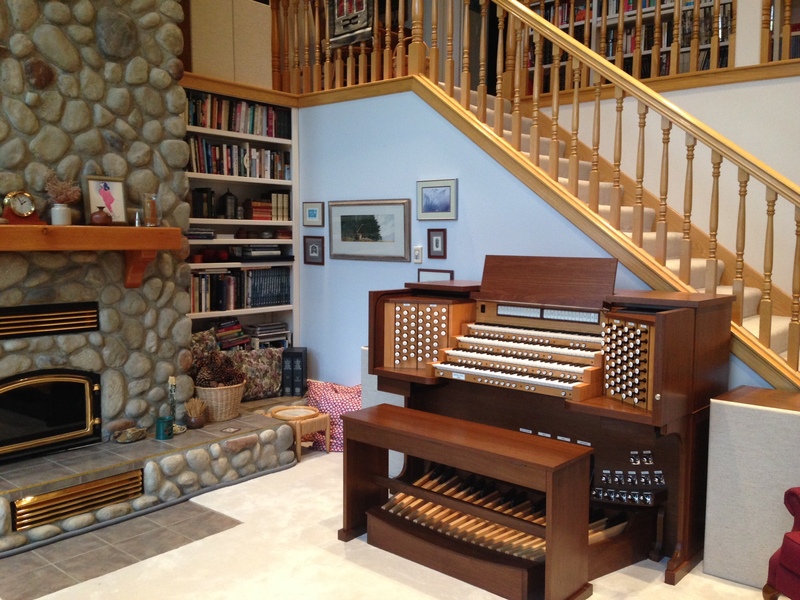 "When my wife passed away, and I began to consider options for retirement activities, the idea of playing the organ again resurfaced, leading, after 7 or 8 months, to the fine instrument sitting now in my living room." Tim's house is located on a serene lake surrounded by dense spruce and hemlock. Bald eagles are a common sight along with 30-40 lb. salmon jumping out of the water. Tim has a wonderful living room with a 25 foot ceiling. The divisions are aligned on each side of the fireplace - Great/Pedal and Choir on the left, Solo and Swell on the right. Dealer Representative Ryan Dye of Washington wrote about the installation, "Tim is very pleased with the sound and overall installation. It really sounds amazing! 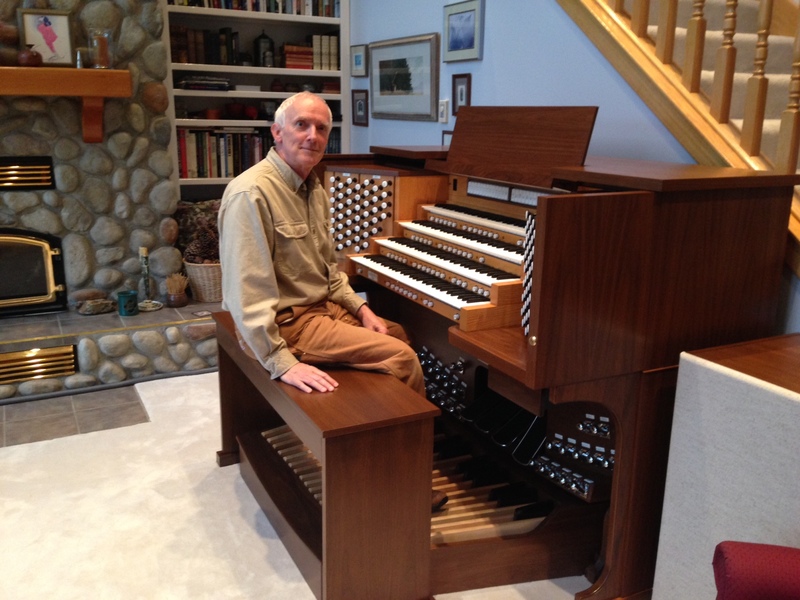 He is looking forward to hours of practice in his upcoming retirement years, and to my knowledge, this is the largest organ of any kind in Alaska." submitted by Tim Fullam and Ryan Dye. 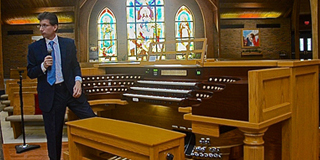 Click here to view details about Tim's new Allen Organ! The rooms pictured here are from homes miles apart, and they are definitely different in style, function, and decor! However, one thing remains the same: their owners chose Allen! Jean-Philippe Le Trévou, Allen's longtime representative in France, is a wonderful musician. 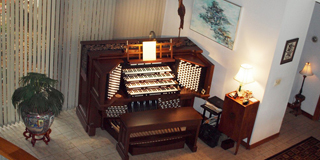 Jean-Philippe posted a video presentation performed on a Chapel Historique™ two manual digital organ. 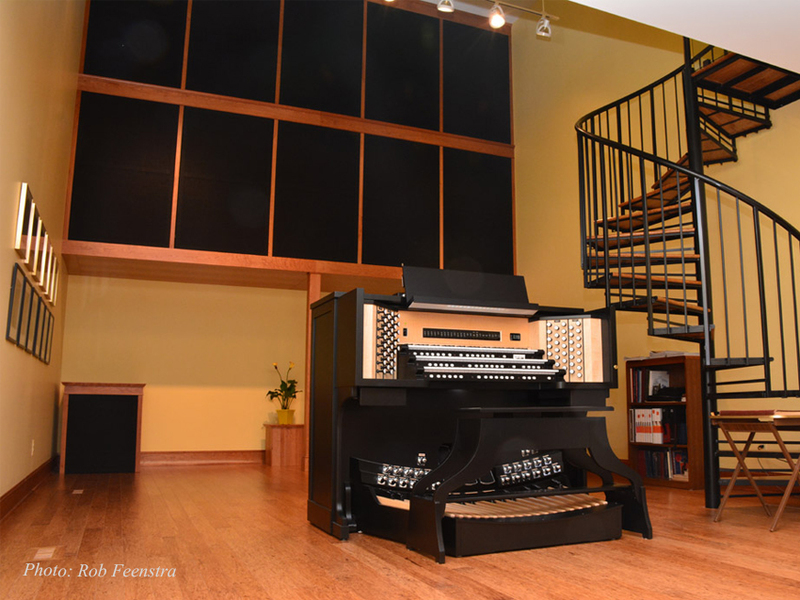 The Historique's compact console and its optional 8 additional stoplists make this "little giant" a perfect home instrument capable of playing any style of organ music. 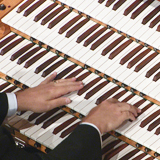 This demonstration properly shows off the broad tonal capabilities of this unique instrument including Baroque, Romantic and Theatre Organ selections. Bravo Jean-Philippe! 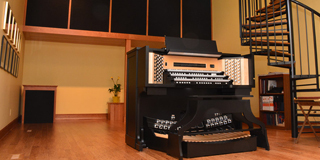 Watch Video: "Demonstration of the Allen Historique digital organ"
At Allen Organ Company, we take the art of organ building very seriously by building our instruments to a higher quality standard than our competitors. This comparison video will show you some of the key reasons that make Allen Organ "The World's Most Chosen Church Organ". A "must see" video for everyone! Nothing tells the Allen story better than the sound of our instruments. 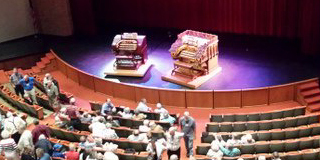 Recordings of an Allen organ are the next best thing to hearing one in person. In each e-notes we feature a few selections that demonstrate the pipe-like quality of our digital organs in a wide variety of musical styles. Enjoy! Thank you all for your votes last month and for your enthusiasm! 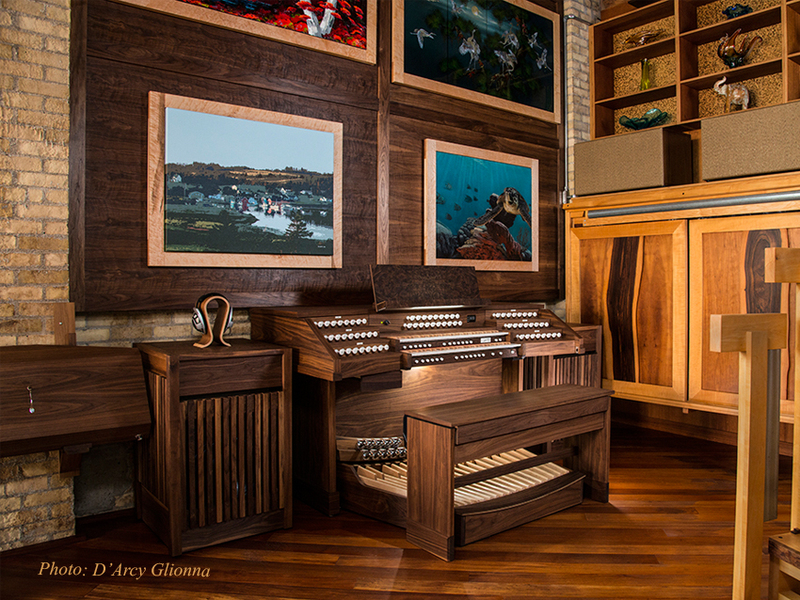 The previous Organ of the Month winner was the Quantum™/Custom Curved French-Terrace Walnut/Oak Finish Three-Manual. Click the link below to visit the AllenOrgan.com site for photos and more!